Blackberry announced its first-quarter earnings yesterday. Revenue fell to $658 million, down 32% from $966 million a year earlier. BlackBerry reported a loss of $28 million which was an adjusted loss. Overall, the company is in the right turnaround course as outlined by CEO John Chen when he took over the company. During the quarter Blackberry sold 1.1 Million devices and these included the Blackberry Passport and Classic flagship devices. 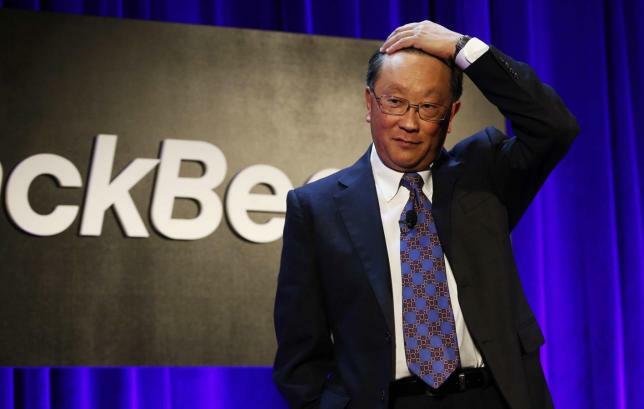 During the quarter, Blackberry software revenues surged by 153 percent to $137 million. The Company plans to double its software revenues to to $500 million by March 2016. To achieve this goal, the Canadian firm has been deploying cross platform software solution BES 12 to all platforms. The cross-platform offerings include the BES12 Android for Work edition, which separates work and business on Android devices, as well as an upgrade to BBM Protected that brings secure communications to users. Blackberry is also positioning itself as a leader in the Internet of Things product offering, through Blackberry’s QNX which boasts of market leadership with 60 million cars running QNX. During the announcement of the results Blackberry also announced a new and growing aspect of BlackBerry’s business, technology licensing. The firm announced a long-term patent cross licensing agreement with Cisco Systems, which will allow the company to earn fees on its technologies. Blackberry’s array of patents in various fields including security, wireless technologies as well as consumer-friendly features such as predictive typing on a keyboard or setting up meeting schedules. These technologies have in the past been a source of speculation that Blackberry may be acquired by large players in the mobile business including Samsung. Blackberry also announced it is working with another major player in the technology space for a similar deal who we speculate might be Samsung. Blackberry is working with Samsung on delivering an ultra-secure tablet as well as powering Samsung’s enterprise security solution Knox. The company did not however announce the company in the new partnership. Intel is also licensing technology from Blackberry’s QNX with the view of creating the next-generation connected car. Other licensing agreements include with Certicom encrypted certificates to manage 104 million smart power meters in the UK, and the licensing of Paratek antenna technology to ON Semiconductor. Blackberry however plans to continue making and selling handset devices, with the view that it provides an entry point for their software solutions. Blackberry hardware sales were down 51% but expenses lower 56%. The firm hopes to leverage its new hardware manufacturing relationships thereby making devices cheaply.